Thank them for their goodness with a Young Humanitarian Award nomination. They could win one of four $1,000 prizes. 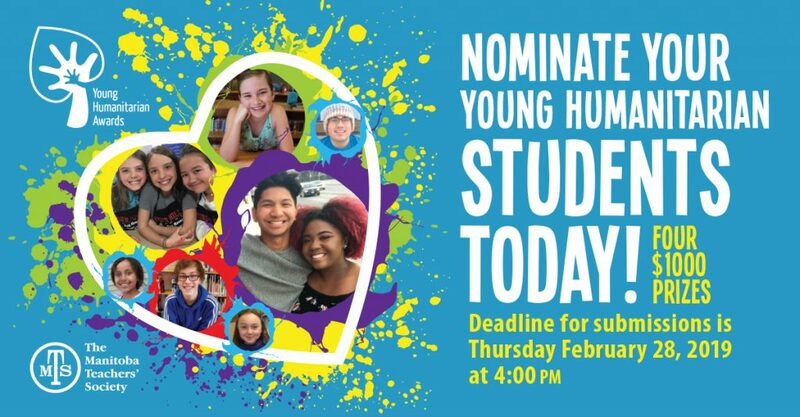 Deadline for submissions is Thursday February 28, 2019 at 4:00 pm. Nomination forms are available here in Individual (ENG), Group (ENG) or French. See more YHA information here.